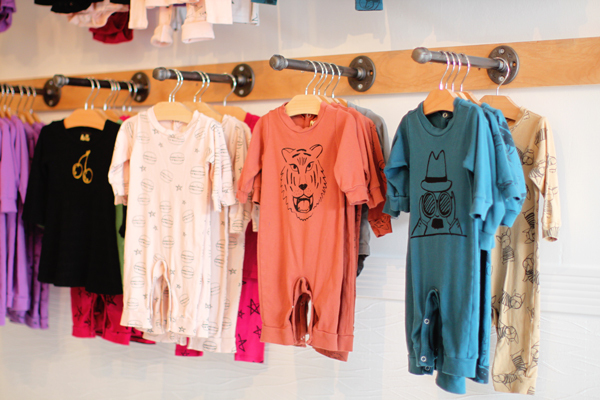 If you follow fashion for the onesie-wearing set, then you’ve certainly seen Kira Kids. Known for clothes that are at once playful and cool (think rompers with rollerskating unicorns), the line for little ones is often spotted on celebrity tots like Beau (of #theoandbeau fame), Jessica Alba’s youngest daughter, and the NBA’s smallest star, Riley Curry. 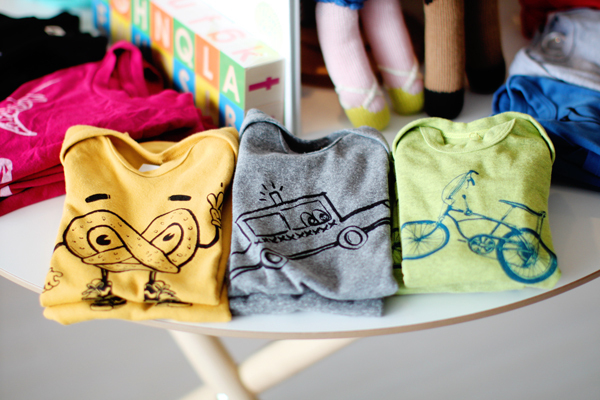 It all began when Christine Tang took a screen-printing class to make a few t-shirts for her nephews. She loved designing tiny attire so much that she decided to make a business out of it and quickly found fans beyond her family. 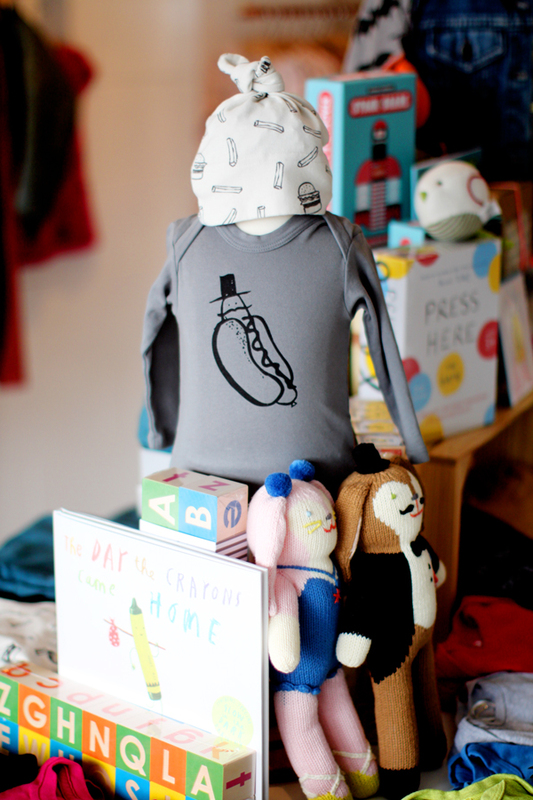 Christine recently opened a Bay Area storefront, and it’s just as fun and whimsical as the clothes she creates. 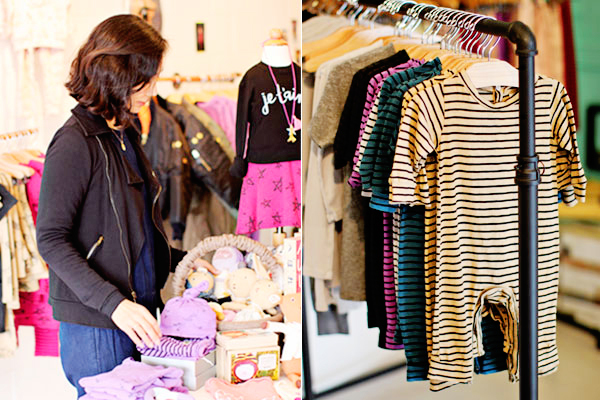 Here, take a peek inside the store and learn more about the woman behind the brand. What’s the story behind how you started Kira Kids? After my nephews were born, I loved shopping for baby and kids’ clothes. I decided to take a screen-printing class and made a few t-shirts as gifts for them. It was a fun experience, so I made a small collection of t-shirts, onesies and beanies and sold them at local craft shows. I’ve always wanted to start a creative business, so I sort of became obsessed with it from there. How did you go from craft shows to a successful business? My first job was in product development for a manufacturing company. It allowed me to travel to factories and participate in the design process—from sketches all the way up to production. 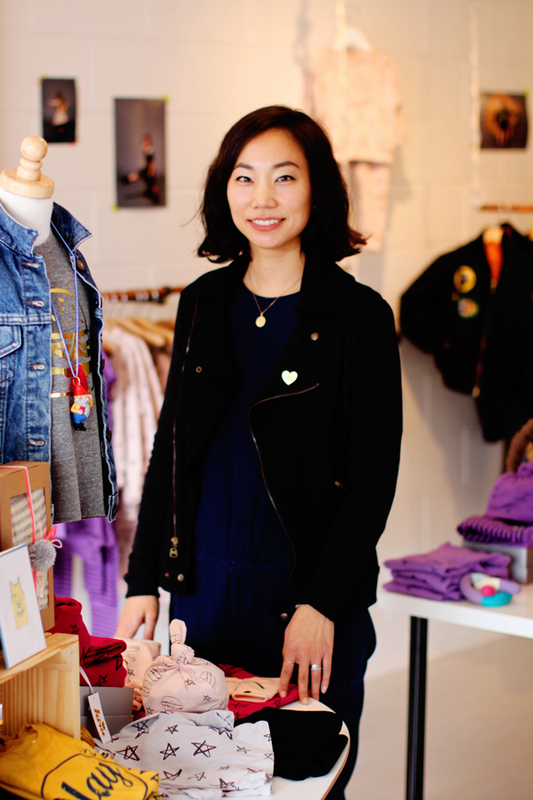 When I started Kira Kids, I didn’t have any apparel manufacturing experience, so I researched online, read books, took classes and asked a lot of questions. I love learning, so I would take classes every opportunity I could get, even while working at my previous job. The craft shows were an amazing opportunity to gain valuable feedback and experience without a huge investment. 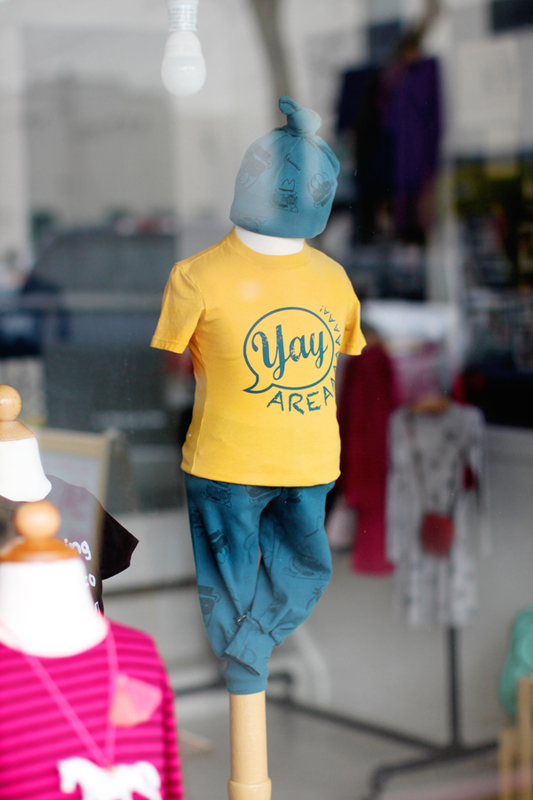 Pretzels flashing the peace sign, bulldogs in berets—your designs are so fun and whimsical. Where do you get your inspiration? Everywhere, really—traveling, my silly nephews, music, movies. The pretzels were inspired by my trips to New York and the food carts I saw on every corner. The New York-themed collection was filled with a lot of pretzels, hot dogs and donuts! The collection this past fall was inspired by Paris, so you see French bulldogs, French detectives and my favorite, macaron cookies. 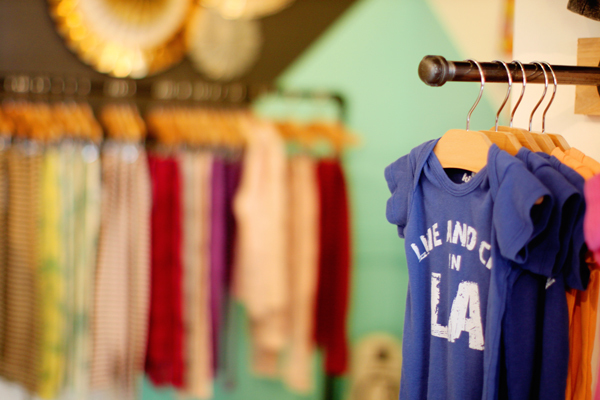 Everything is made in LA, and you’re committed to eco-friendly practices, like using non-toxic inks. How did you decide to make sustainability a priority? It’s important for me to try to keep everything local if possible. We have amazing garment factories and resources in California, so it made sense to me to manufacture everything within our community to help out our local economy and provide jobs for the people who live here. 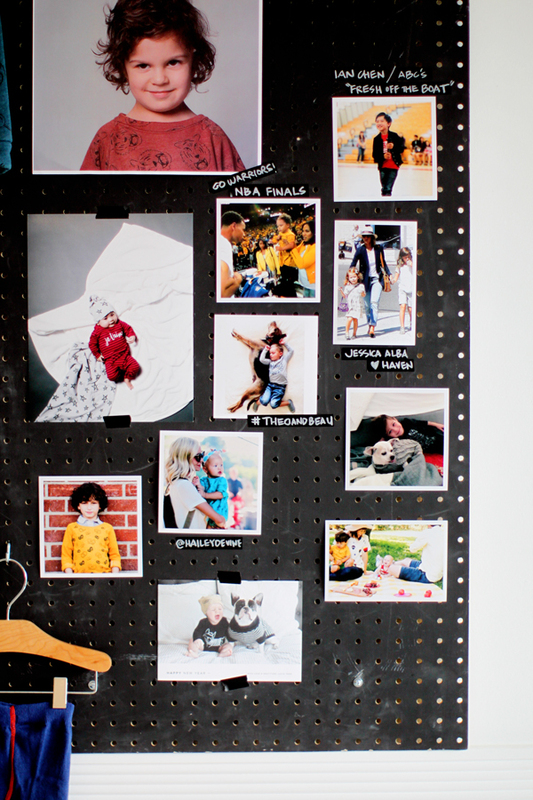 What it’s like to see your designs on the celebrities of the toddler world? It’s so awesome! I’m really lucky that they wear and like the clothes. It feels kind of unreal. It’s the best feeling, every time I see any kid wearing my clothes. What’s your best advice for a woman who’s interested in starting in her own business? If you’re passionate about it, go for it! Stay organized and have a clear vision of what your goals are. Your path may change during your journey, but it’s helpful to have an overall direction and you can make adjustments along the way. Last question: If you could only keep one pair of shoes from your closet, which ones would you choose and why? 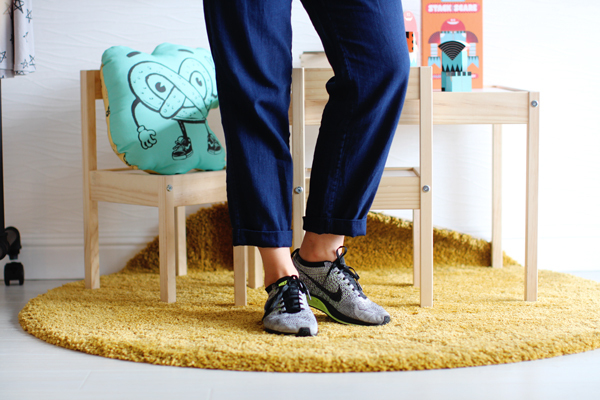 The shoes I’m wearing right now—my sneakers! They’re Nike Flyknits. They’re so comfortable that I don’t want to wear anything else.